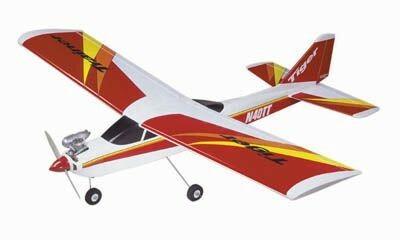 This series of airplanes are designed for the beginner. High mounted wing with a flat bottomed airfoil and generous dihedral provide slow, predictable flight that is easily controlled by the beginner. Unlike most trainers, they don’t look like the box they came in! most popular line of airplanes. 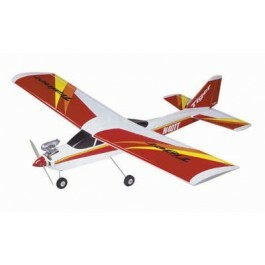 This series of airplanes are designed for the beginner. High mounted wing with a flat bottomed airfoil and generous dihedral provide slow, predictable flight that is easily controlled by the beginner. Unlike most trainers, they don’t look like the box they came in! A rounded turtle deck and a shaped cowl give this plane a realistic appearance that reminiscent of a real airplane such as a Cessna 172. The Trainer series come with tricycle gear which makes the ground handling a snap. The best looking, easiest building and best flying ARF available. It features State-of-the-art engineering that provide quick and easy assembly of a strong, yet lightweight, airplane that will provide you with an enjoyable and educational experience. It will not only teach you the basics of flight, but it can also introduce you to basic aerobatic maneuvers. * Wing Span: 61 "
* Wing Area: 675" sq. in. * Weight: 5 - 5.5 lbs.